Let’s face it: we love Montessori, but we are also busy. We have limited time to plan our lessons and we need to use minimal time for lesson planning and set up so we can get going with our day. 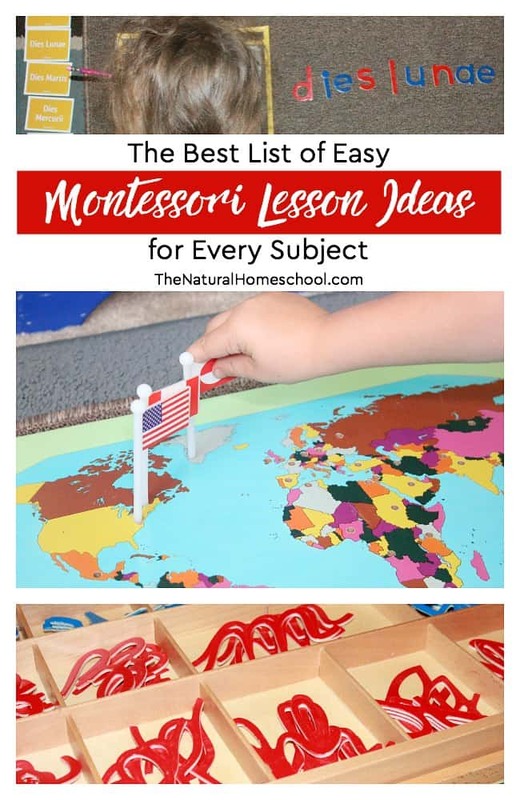 In this post, I will share with you the best list of easy Montessori lesson ideas for you to use in your home when you were teaching every Montessori subject. I have divided them up into lists by subject so you can find exactly what you need easily. 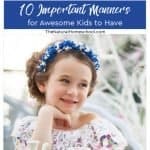 If you love this list, you can also print out the list as the free printable at the end of this post. That way, you can always have access to it. Montessori Math is very unique because it is very hands on with not much paper and pencil work. 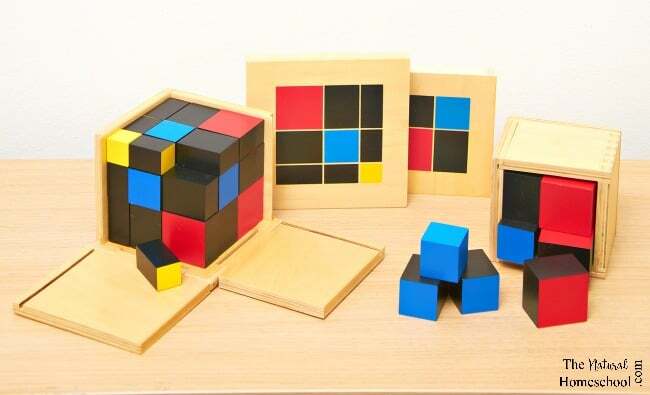 There are many manipulatives to use during Montessori Math works and aunt can get a little bit confusing. That is why I made this list for you. 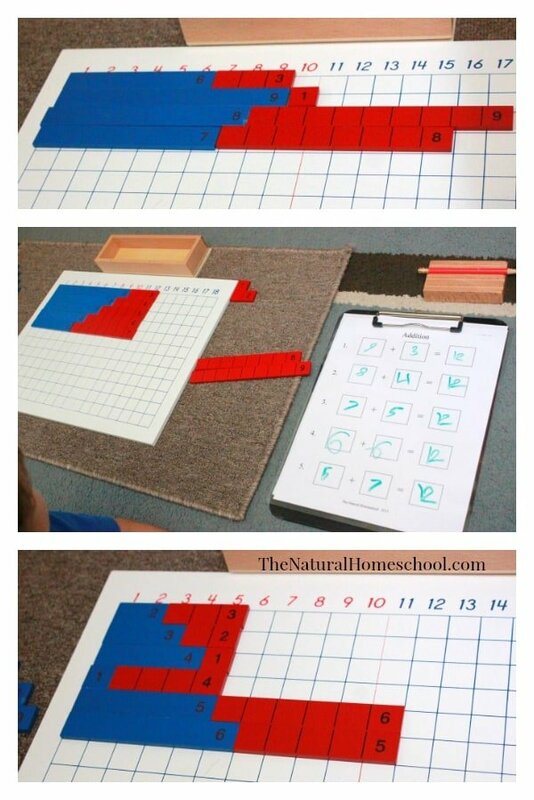 Did you know that you can use the same Montessori math work for different activities and at different levels? Take a look at these posts to find out exactly how you can do that. Sometimes, it can be very difficult to teach language arts concepts two children. But with Montessori language arts works, it isn’t that hard. All you need is a little preparation before the lesson and you are set to go! 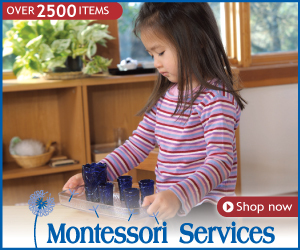 Children really do learn a lot easier with the way the Montessori teachers it’s concepts. Take a look at these lessons and see exactly what I mean. History is such an amazing subject! We really enjoy it. But sometimes, children have a hard time learning the concept of time and how events fall into a timeline. 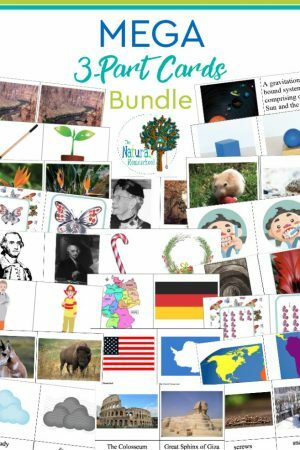 In Montessori called sure and history subjects, they cover it all! We teach the concept of time as in seconds, minutes, hours, days, weeks, months, years, etc. We also learn about the seasons, how the season spring different weather, birthdays, holidays, etc. the children will find it very interesting. We also get into the concept of our day (our daily timeline) and our personal life timeline. Children have an easier time grasping these concepts if they can apply them to something close to them such as their own personal lives. Take a look at these posts so you can see what I mean and get some great ideas. 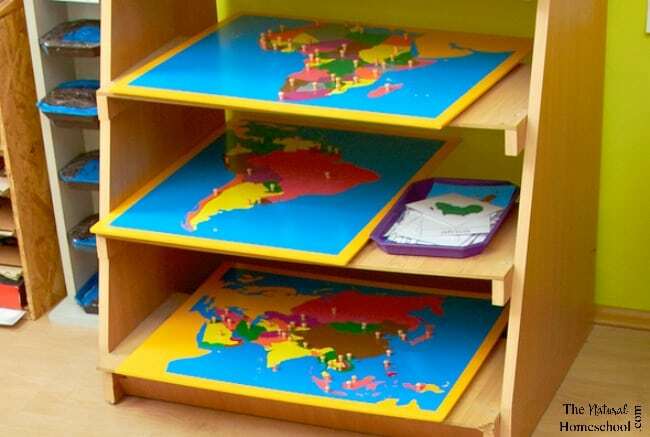 Montessori geography is the best! Children have so many hands on works that really bring this concept home. From the globe two wooden puzzle maps to landforms on our planet. 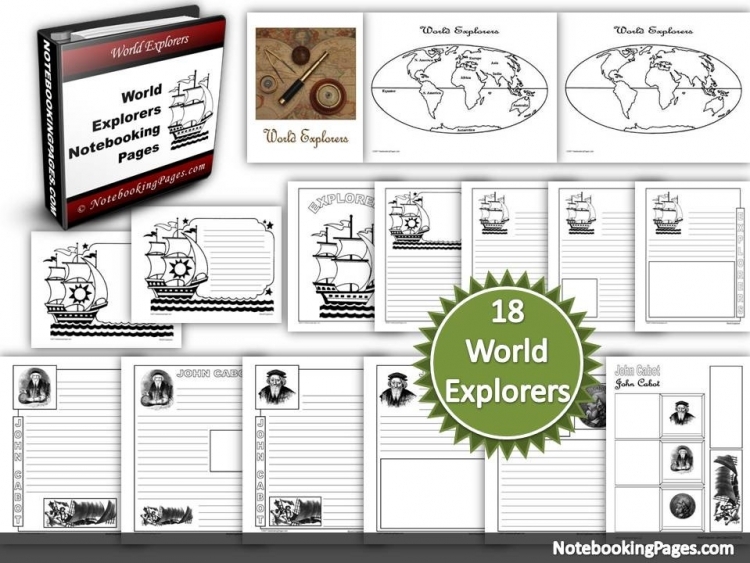 All of them are beautiful, easy to use and very educational. 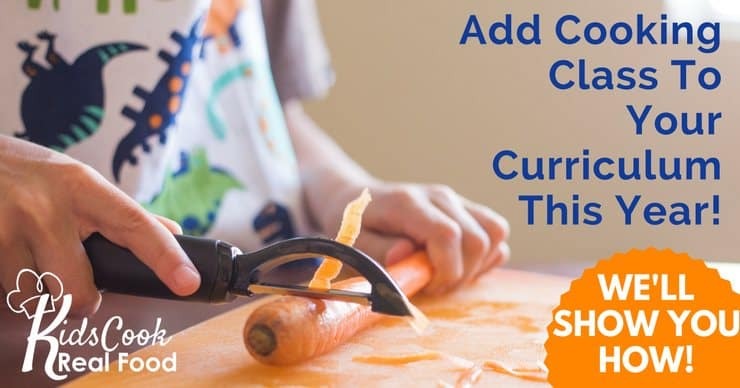 This is one of our favorite subjects to learn with Montessori materials because they are very hands on and that is making it very easy for my children to learn the material a lot faster. 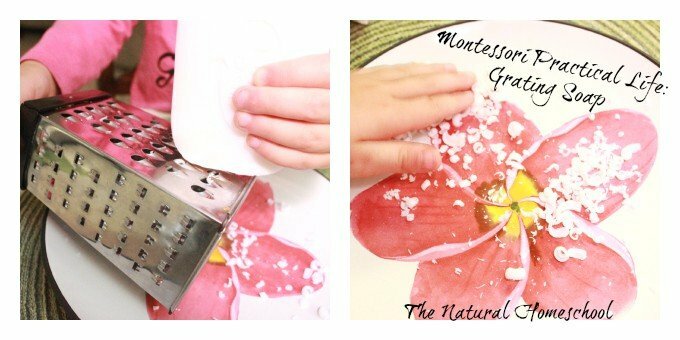 As you may know, Montessori sensorial works are very unique. Since oriole materials aren’t really taught in regular schools as common subject. 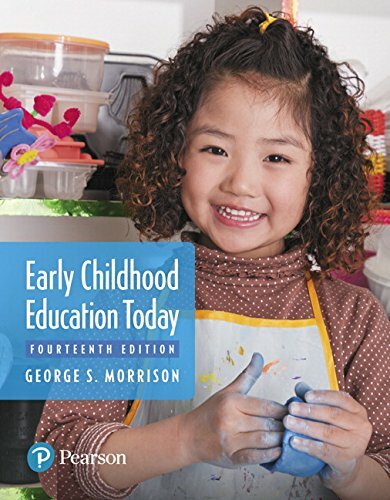 And yet, it is such a fundamental subject to know about and learn in the earlier years because children will learn so many important concepts from that one subject that will serve them for the rest of their lives. Maria Montessori was indeed a very very smart about including and incorporating practical life skills into every day lessons. Surviving is one of our basic human needs and when children are able to be independent in caring for themselves then they can definitely thrive. I love to watch little ones between the ages two and six learn to clean their own area, make their own food and even set up a fine motor skills practicing area. 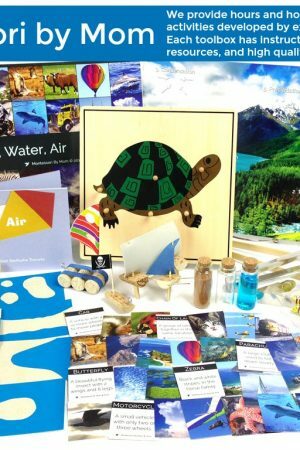 Here are some examples of Montessori practical life works that children can do on their own after being presented with how is the activity works. Maria Montessori was very interested in the sciences. 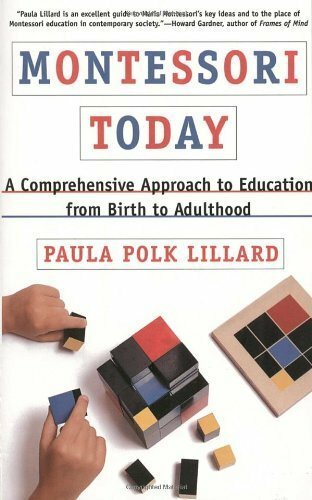 She had a very analytical mind, so she always made sure that plenty of scientific experiences were set out for the children to explore in the Montessori environment. 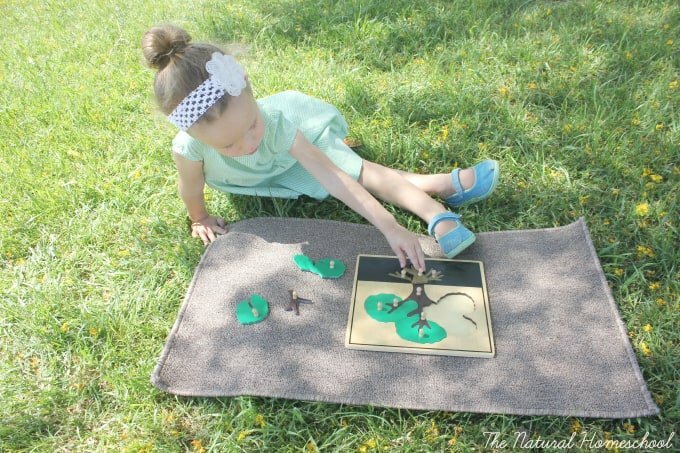 Children will learn about zoology, biology, anatomy, botany and other scion branches at different times during their Montessori environment time. Here are some examples of those lessons. 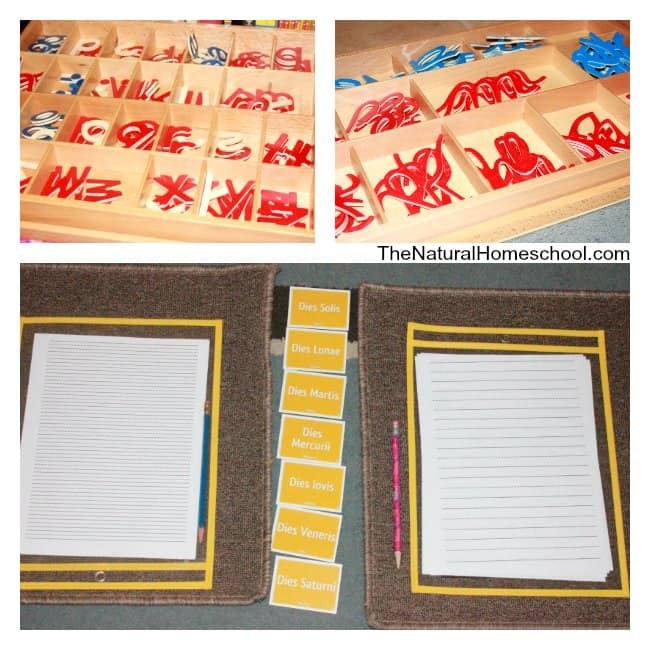 Teaching Montessori at home can be very intimidating. But it isn’t as hard as it seems! 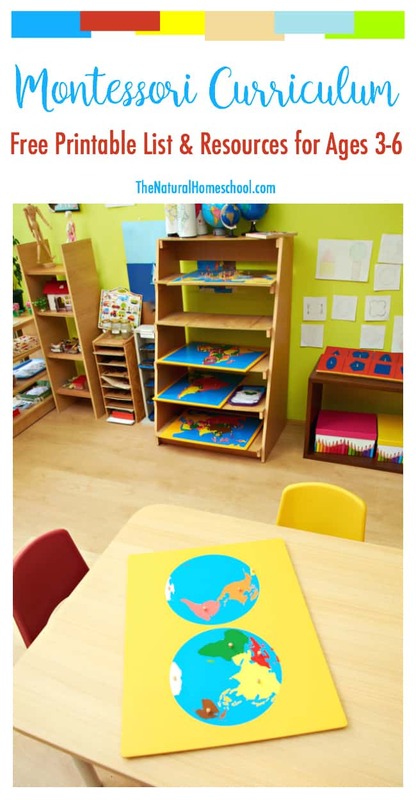 Below, you will see a series of posts that will help you explain how these Montessori works, lessons and setups or put together at home for your children. 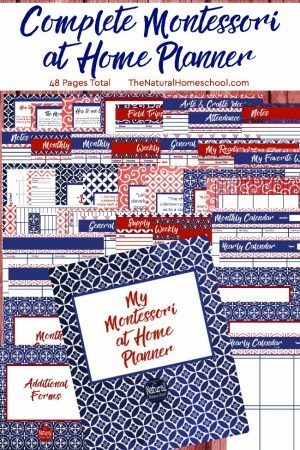 I hope that this post has helped you get some great ideas for every month you will be quite organized and you should feel confident that your presentations and lessons will make your children learn and thrive in the Montessori. Congratulations on your quest to teaching Montessori at home! Now it’s your turn! 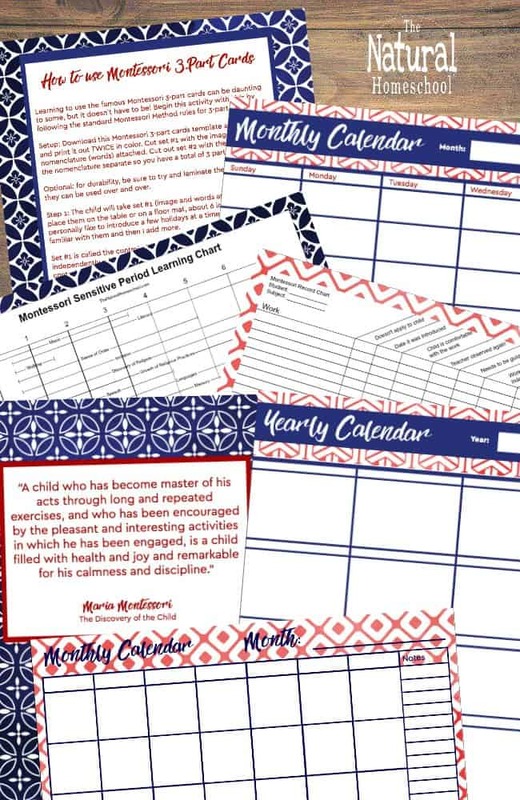 If you are looking for a list with tracking on which 10 works you could present first in each subject, then grab our free Montessori Curriculum list here. Simply enter your email and check your inbox. The download will be waiting for you there.